I was thrilled when Glen Wexler agreed to be a part of this month’s bulletin, for he certainly is a master of creative and conceptual imagery in the advertising, editorial and fine art worlds. Glen has been shooting commercially for many years now and has won numerous awards. 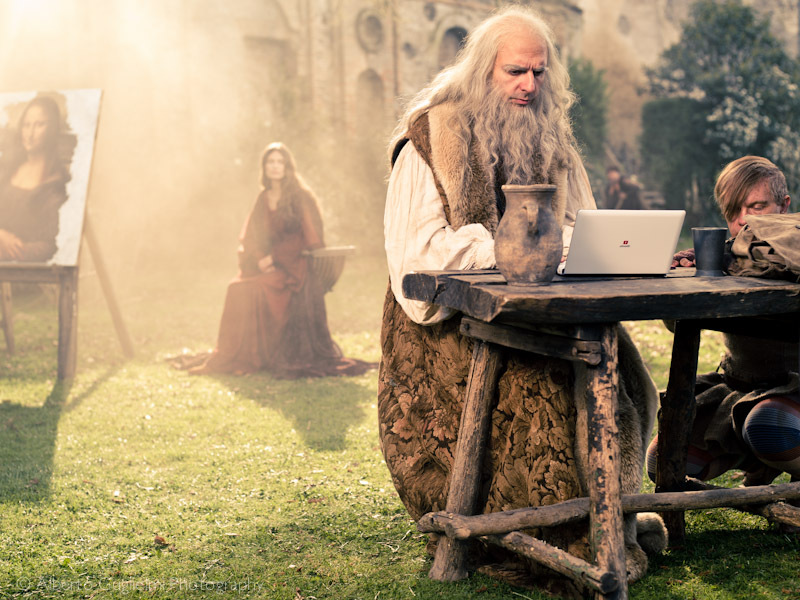 From his website: According to Eric Idle of Monty Python, “Glen is a seven-foot Scotsman with a wooden leg whom I met Frog Rolling on an Eskimo trip in Northern Greenland.” Believe what you will. That’s the point. Glen Wexler’s pictures have taken the viewer deep into make-believe worlds that look real. His signature style of “improbable realities” has earned an international client base and the following of photography collectors. 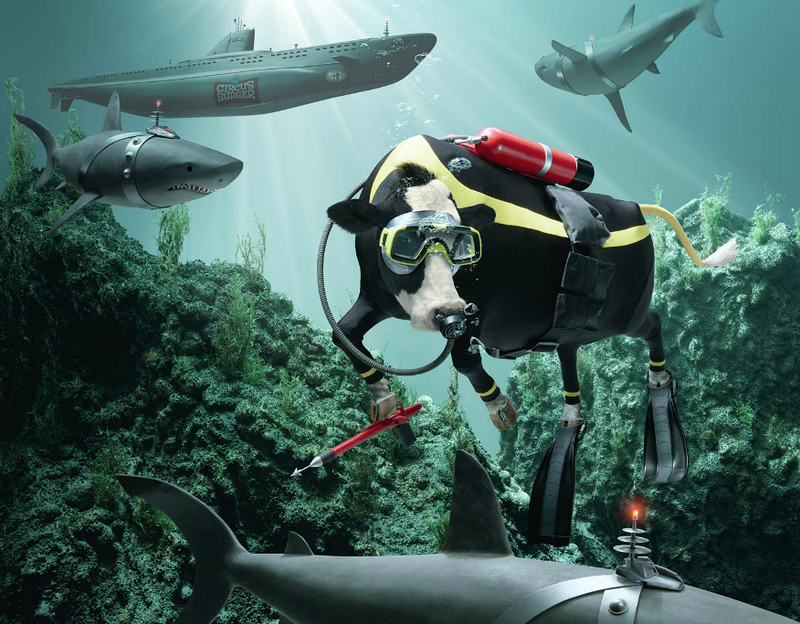 The image we selected for Glen is from his hilarious “Secret Life of Cows” series. I worked with Alberto Guglielmi a few years ago now and had not seen any of his recent work. And when I did take a look at his new website, I was thrilled to see an entire section of fantastic conceptual work. And even though he was shooting in Budapest when I emailed him, he was excited to be in the bulletin and emailed us the images that night before he flew back to the US! The image we have selected for Alberto was both mine and my assistant Chelsea’s favorite from his “Back to the Future” series, but be sure to go to his website to see the rest. Some of you may remember this husband and wife team Montalbetti + Campbell from a previous bulletin in which we featured photographers who work together as pairs, or as a couple. Now if anyone displays the idea of “concept” in their imagery, it is certainly these two. Their work is often so ornate and carefully crafted – it is like looking at a beautiful oil painting, so be sure to go their fabulous, fun and creative new website to see more of their stunning work. This particular image we selected for you is called “The Dream” which also fits our Pisces theme perfectly. I’ve known Pete Barrett for the longest time, and he has always been one of my favorite people in the industry, not only because he’s a wonderful photographer, but Pete is also a really great guy and a lot of fun to be around. Sounds cheesy, but it’s true! We met some years ago when he was my client at the Black Book. From his website: Known for his ability to work with people and also being a master manipulator of the pixels, Pete portrays both a sense of reality and captures the energy of the moment in a way that is very real and believable – and that he does. The image we chose for Pete is a great example of this and subtly illustrates our theme for this month. 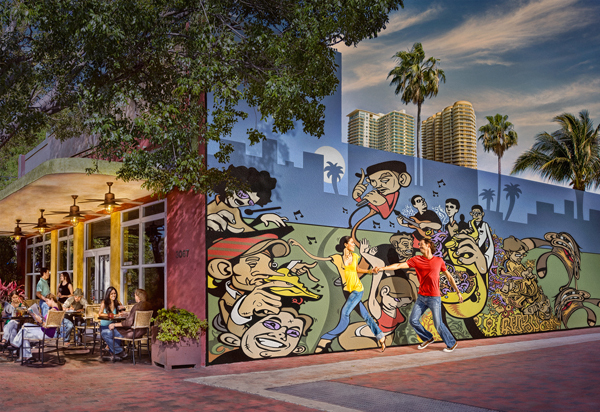 Look closely at the girl in this picture who is morphing into the mural! I’ve not met Darrell Eager before, but my friends over at WSW Creative currently represent him, so I emailed him to see if he would like to be a part of the bulletin this month. I had to laugh because he is definitely true to his name, and was so “eager” to participate he got back to us right away and sent us some images, which I loved! 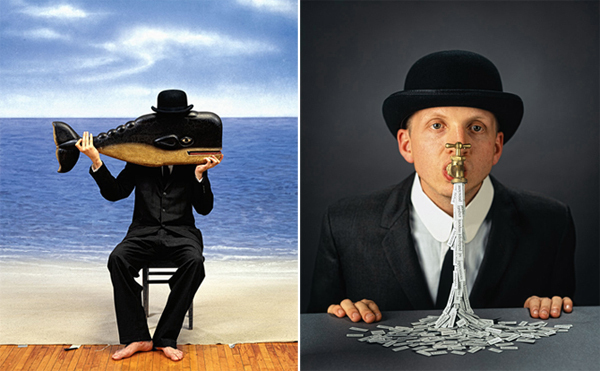 Darrell’s work has a wonderful quirky style to it, so we selected a pair of his conceptual and Magritte-inspired portraits that also reflect the water sign of Pisces at the same time. Be sure to check out both his and his agents’ websites. Britton Black was referred to me for some consulting a couple of years ago now, and we worked on his website branding and editing the portfolios. I liked his signature look that he was already refining and since then, he has continued to explore this visual and signature style. 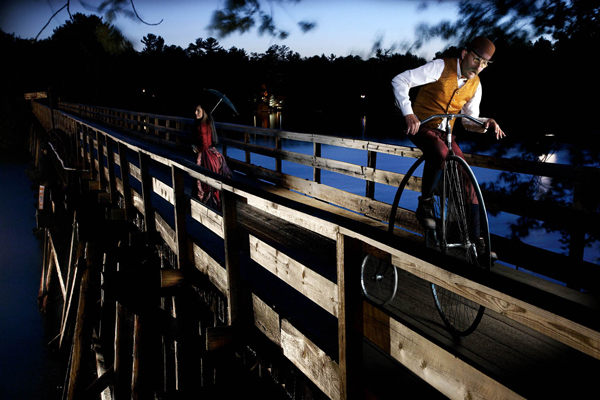 The image we selected transports us back in time to when we were riding around on penny-farthing bicycles, and although it possesses a nostalgic quality, there is also an interesting moody side to the work at the same time. Be sure to go to his website to see more of his fantasy world!